Absolutely Kleen offers commercial and residential carpet, tile, and upholstery cleaning services in the Daphne, Fairhope, Spanish Fort, and Robertsdale areas for over 32 years. We offer both, the truck-mounted hot water extraction and the low moisture cleaning processes. Since 2008, Kwik Dry has been a family-owned business dedicated to providing the highest quality cleaning and restoration services. We began in Greenville, Illinois and in May 2014 we opened up our new location in Gulf Shores, Alabama where we have continued to serve residential and commercial clients with the same value and commitment. Today we are happily serving residents and businesses along the Gulf Coast of Alabama and Florida including Orange Beach, Gulf Shores, Foley, Pensacola, Perdido Key and surrounding areas. 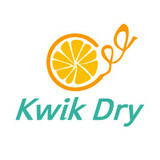 We use the exclusive Kwik Dry cleaning system, featuring an All-Natural Citrus Cleaner that is SAFE for kids and pets and dries in about an hour. We provide professional residential and commercial cleaning for carpets, tile and grout, ceilings and more. We generously provide each of our customers with exceptional customer service and the cleanest ceilings, floors and surfaces possible. Learn about us on our website or call us with any questions. We're looking forward to giving you a cleaning experience worth talking about. Fiber-Seal of Gulf South Fiber-Seal Gulf South combines superior post-installation protection products with exceptional follow-up service. We partner with homeowners, facility managers, and design professionals to help keep beautiful interior fabrics and carpeting looking their best, day by day, year after year. Our customized Fiber-Seal service allows our residential and commercial clients to enjoy fine furnishings they have selected without worrying about spills and soils we do the work to eliminate the worry. The Fiber-Seal Fabric Care System helps make the pretty practical, the luxurious livable all at a cost-effective price. What should I look for in a local Saraland carpet cleaner? Not all Saraland carpet cleaning companies use the same methods, but there are a few common things that they should do to for a quality job. Make sure they do an analysis on the area you need cleaned and recommend the best course of action — are there large stains or high-traffic areas that need extra treatment or attention? Also, make sure they provide quick drying times so that you can be back in your home faster; that means hours, not days! A good carpet cleaning service in Saraland, AL should move furniture (within reason) and put it back in place when they are all done; don't let them charge extra to do this. Another important factor to look out for is whether or not the carpet cleaners use chemicals, and if so, they should be asthma- and allergy-friendly. This is especially important for households that have children or pets. Lots of Saraland carpet cleaning services also clean rugs. Rug cleaning can involve anything from a simple wash to complete re-weaving or foundation work. Make sure the local rug cleaner you choose has experience with the types of rugs you need serviced, especially if they are hand-woven or Oriental rugs. 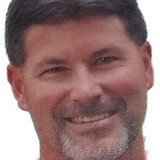 What should I look for in a local Saraland upholstery cleaner? Upholstery comes in many more varieties than carpet and rugs, thus needs cleaning tailored to each specific blend. Even if you don’t know what material your sofa or chair is made with, a good upholstery cleaning service in Saraland, AL will be able to identify it and treat it appropriately. Some textiles require dry cleaning and that can’t be done in home, so if that’s the case, check with the upholstery cleaner and see if they offer pickup and drop off services. Leather cleaning is a bit different and often involves more restoration and conditioning than actual cleaning. Make sure the Saraland furniture cleaning service specializes in leather if you are considering them for the job. Find Saraland upholstery and carpet cleaning services on Houzz. Narrow your search in the Professionals section of the website to local carpet cleaners in Saraland, AL and read reviews and ratings to find one that fits your needs.